Owner of Manly Ocean Foods Christina Franze, employed Love & Chaos to rebrand their takeaway seafood eatery, located on The Corso at Manly. Already a successful thriving business, serving up the best fresh and cooked seafood in Manly for over 50 years, Franze decided it was time to refresh MOF‘s branding. The brief was to maintain the blue background & the capitalized text. L&C suggested a fresh simple illustration to accompany the brandname. 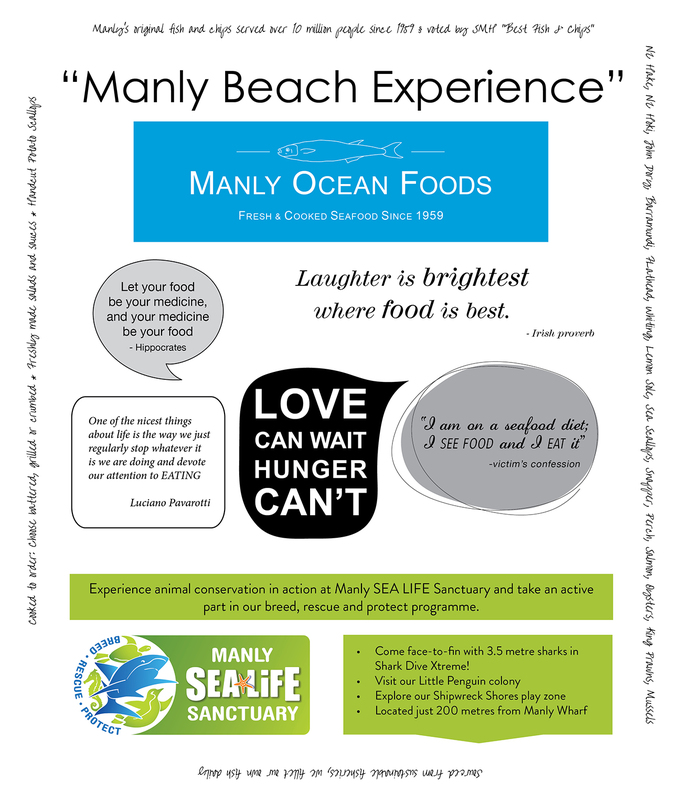 We also created some cool new packaging for MOF in collaboration with Manly Sea Life Sanctuary, to be used to wrap all the fresh and cooked seafood. 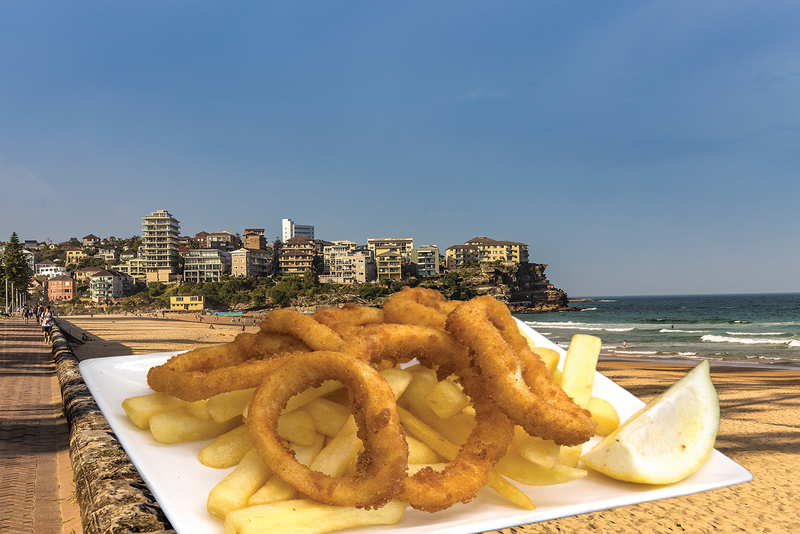 Come on down to Manly and grab some fresh seafood to take home or eat on the beach!